If you would like to drive a large, bold sedan then you have come to the right place to learn about the 2016 Chrysler 300, a car that is bound to meet your needs. 2016 Chrysler 300C Platinum, Limited and 300C models make a Black Forest Green Pearl Coat color available. Also new for this model year is a Chrysler 300 90th Anniversary Edition, as Chrysler's roots date back to 1925. The 2016 300 manufacturer's suggested retail price (MSRP) starts at $32,015. The vehicle makes available Roadside Assistance Coverage for 60 months/100,000 miles. 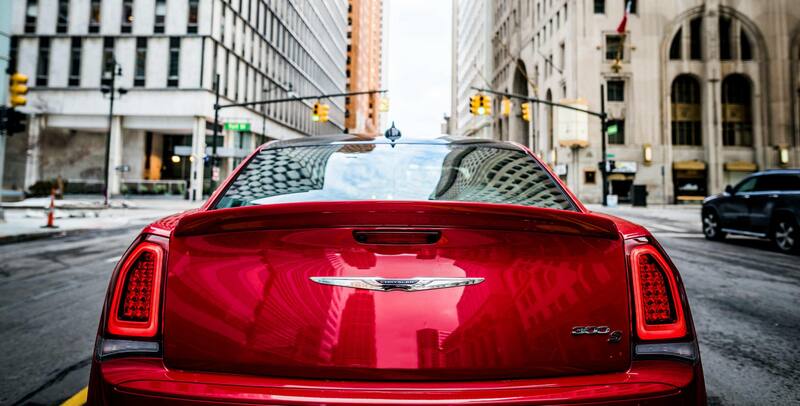 Continue reading to learn more about the fantastic 2016 Chrysler 300! The vehicle has a performance-tuned suspension. The car's V-8 engine will give you large sway bars. The fuel tank will hold up to 18.5 gallons of the stuff that will transport you to your destinations. You will have performance-tuned steering and bushings. You will have standard electric power steering (EPS) to make this car easy to drive in low-speed situations and when parking. If you are driving in a sporty manner, then EPS will come in handy then, too. In fact, you might use a specific "Sport" mode on the S, C, Platinum and V-8 engine-equipped C models. All-wheel- and rear-wheel drives make available axle housing with cast-aluminum axles to cut down on parasitic friction loads. With Sport mode, you may experience fast gear changes. If you get the 2016 300S, then you will have Goodyear Eagle F1 three-season tires available. You can get into the 2016 300 through any one of the four doors that the vehicle has. Up to five occupants can comfortably fit inside of the spacious car that has a front armrest. This car offers up to 16.3 cubic feet for its maximum cargo volume, and if you are curious the car has a 198.6-inch exterior length. A dual-pane sunroof will help you have a bit of access to the elements while driving. Uconnect 8.4AN with navigation is standard. Uconnect also offers an 8.4-inch touchscreen, Do Not Disturb, Siri Eyes Free and a Drag and Drop menu bar. SiriusXM Traffic and Travel Link can help you have comfortable drives because you may be able to avoid crowded streets with those features. You may charge equipment in the car through use of one of three 12V DC power outlets. How many safety features are available for the 300? Up to 80 safety and security features are available for the 300. Is a security system available for the 300? It is actually standard for the 300. Where can I get accurate directions to you? A SafetyTec Plus Group includes Blind-spot monitoring, Rear Cross Path detection, Lane Keep Assist, Lane Departure Warning, Adaptive Cruise Control-Plus with Full-speed Forward Collision Warning -- Plus and Full Stop. You'll have fully-automatic headlamps with a delay-off feature, which means that you may use the headlamps to see your way into the house at night if you wish. The 2016 300 offers a 36 month/36,000-mile basic warranty. This car will alert you if you do not have much fuel left in the tank, or if you should get washer fluid for the car. Come check and try out the 2016 Chrysler 300 to further see how it could be for you! We look forward to helping you with your vehicle search!